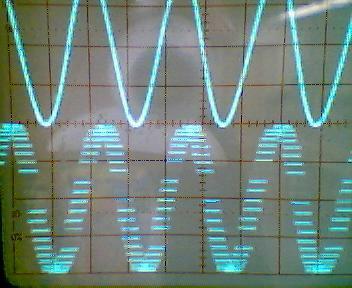 The objective of this lab is to explore the effects of aliasing and sampling. 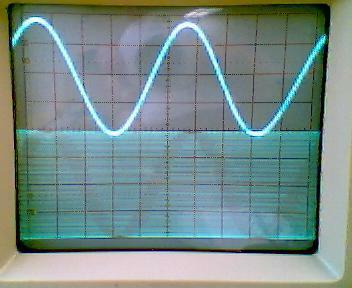 3)	Set the function generator to generate a 1KHz signal with amplitude of 2V. 4)	Connect the signal generator to the input of the sampling board. 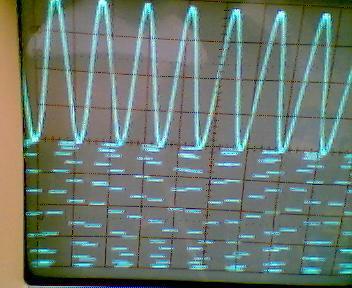 5)	Connect the output of the sampling board to the oscilloscope and the spectrum analyzer. 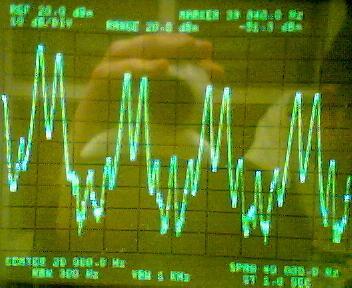 6)	Record the signal spectrum and observe the aliasing that occurs as a result of sampling. 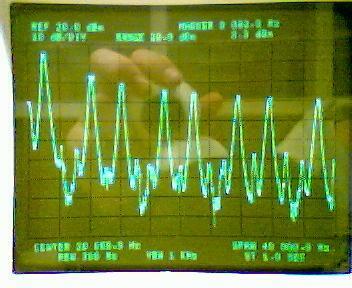 7)	Record the resulting signal. 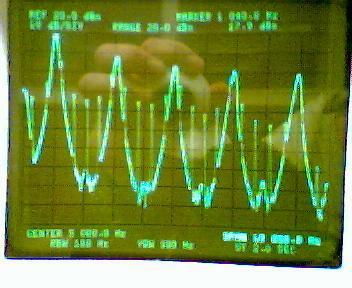 8)	Increase the signal frequency to 2KHz. 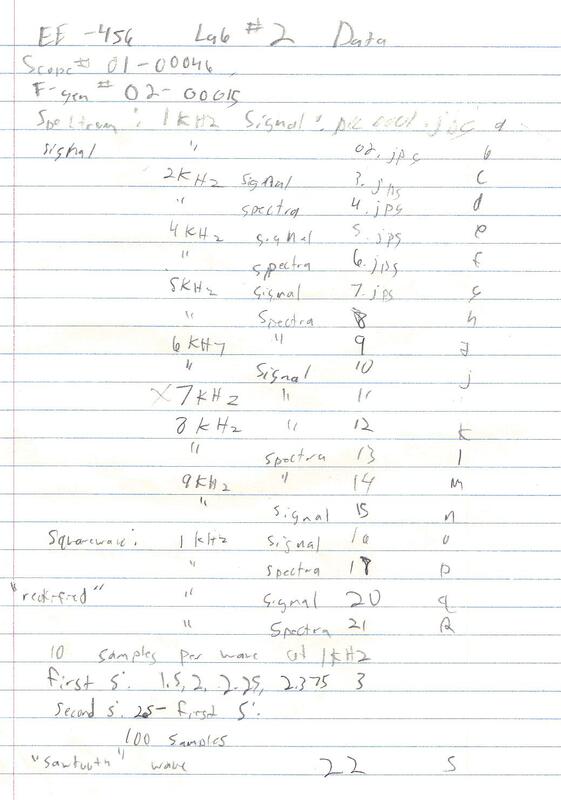 9)	Record the resulting signal and spectrum. 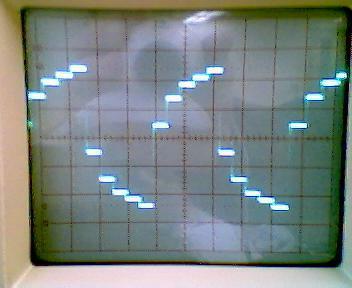 10)	Repeat steps 6 and 7 for 4KHz, 5KHz, 6KHz, 8KHz, and 9KHz. 11)	Repeat steps 6 and 7 for a 1KHz squarewave and explain the spectrum. 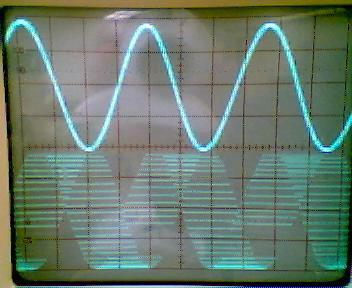 12)	Set the function generator to generate a 1KHz sinewave. 13)	Enter command "x=ad(100)" to generate a 100 sample array. 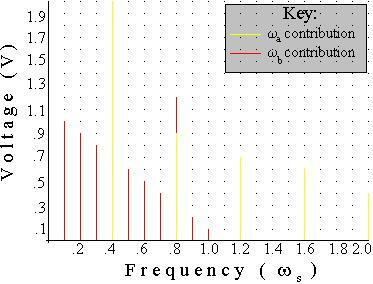 14)	Plot the resulting function. 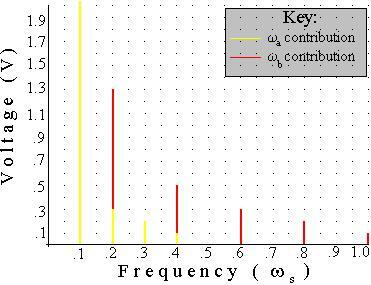 15)	Rectify the signal using "x1=abs(x);"
16)	Plot the new signal. 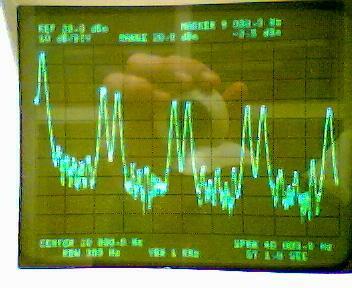 18)	Record the resulting waveform and spectrum. 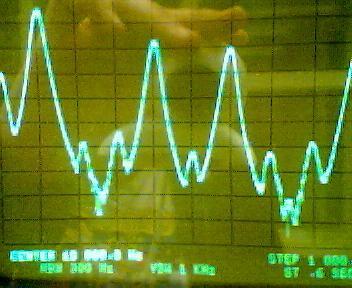 19)	Simulate a semi square sawtooth waveform with amplitude 1024 and a frequency of 1KHz. 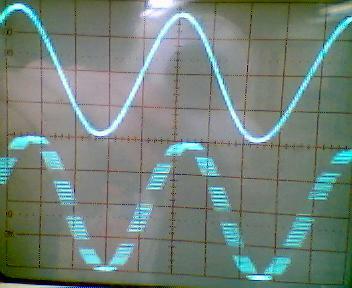 20)	Use the "da(x)" function to realize the waveform. 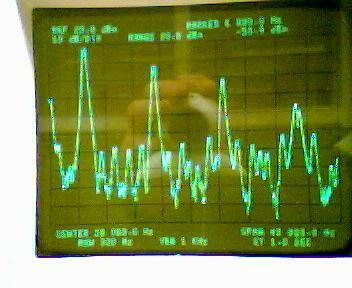 21)	Record the output time signal. 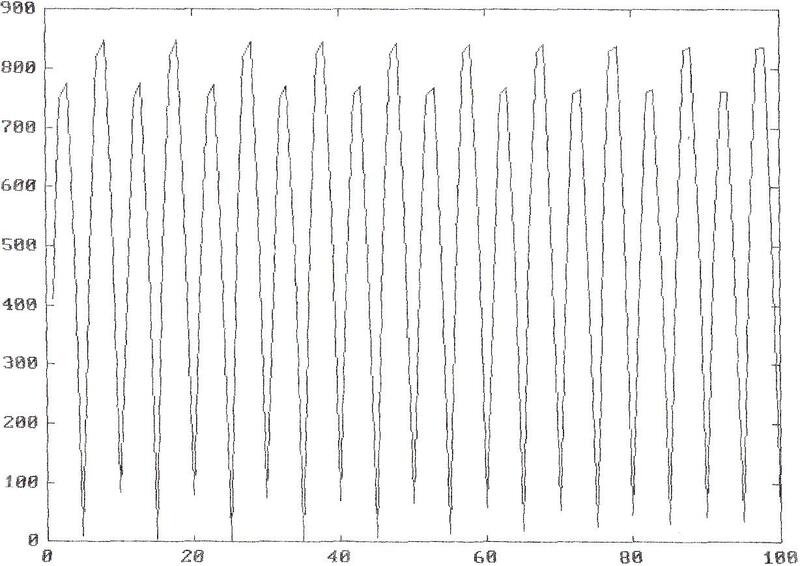 21)	Diagram 21: Synthesized "Saw tooth" wave. 2)	Q:	Write MatLab® code to create a square wave off of a sinewave, given array x is a sinewave. 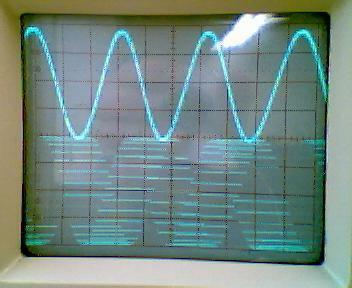 This lab has demonstrated some of the effects that sampling has on a signal. 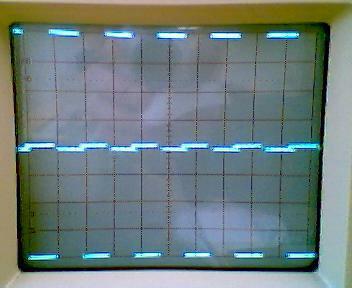 However, some of the effects of signal aliasing were not observed. 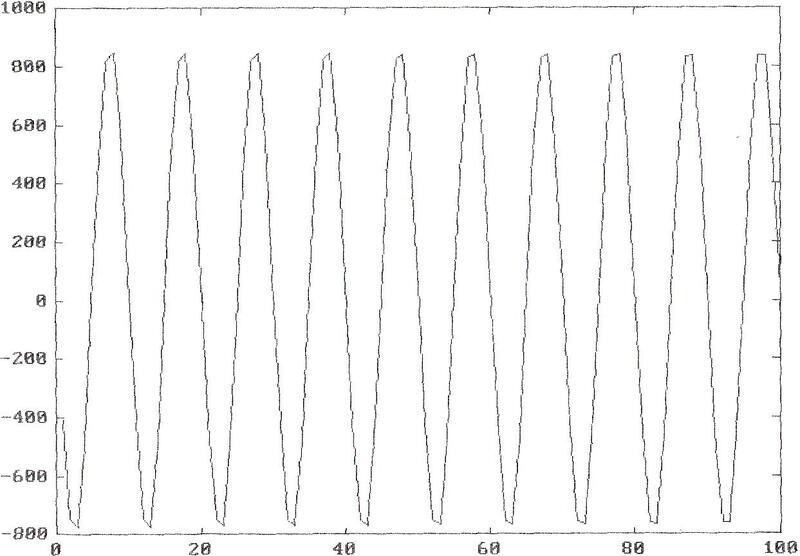 It is interesting at how much noise is introduced into a signal even though the signal is sampled well below it's Nyquist rate. The answers portrayed in Q1 attempt to show the amount of noise that is introduced. 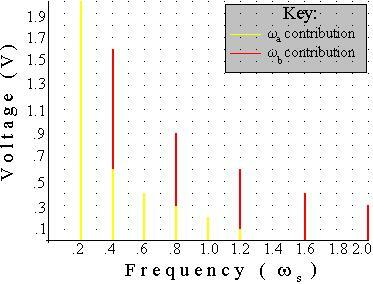 This is expected, and signal generation may also be a source of noise that can not be explained, especially noise that is amplified by the analog to digital conversion, because it is above the Nyquist rate. 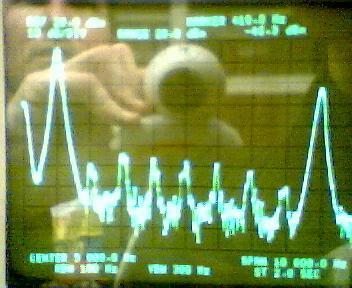 I did, however, experiment and ran the signal at and above the Nyquist rate. 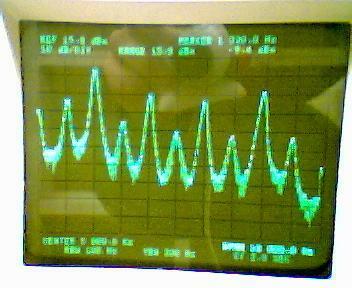 At the Nyquist rate, the signal appeared as a perfect "white" signal, or as straight lines. 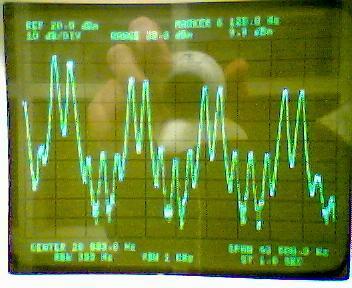 As the frequency was increased, the noise created shadows, or darker areas that appeared to be a signal at wm - .5ws. 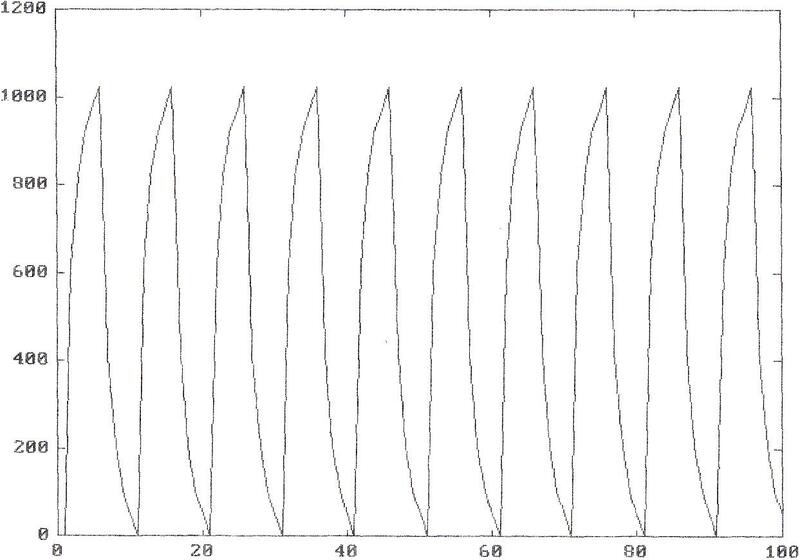 This is expected, and is explained within the Nyquist theorem. 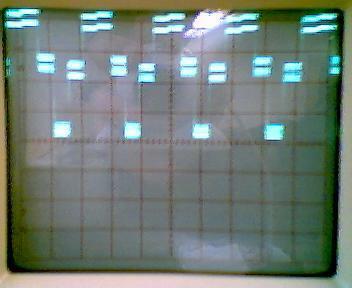 ÛÛÛ Index into matrix is negative or zero. is equivalent to PLOT(real(Y),imag(Y)) if Y is complex. In all other uses of PLOT, the imaginary part is ignored. YLABEL, AXIS, HOLD, MESH, CONTOUR, SUBPLOT.